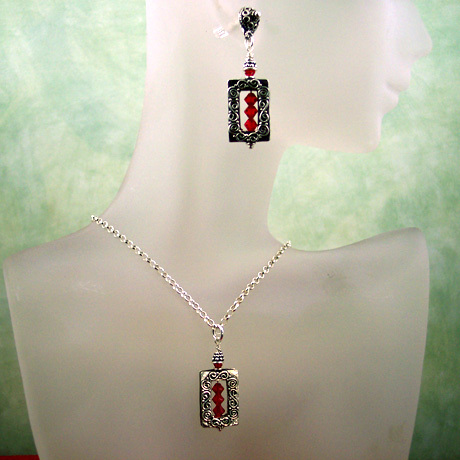 Home :: Earrings :: E0453 - Love in a Box - 1.25"
E0453 - Love in a Box - 1.25"
Sterling silver earrings with handmade sterling silver rectangular Bali bead frames with three 4 mm Swarovski crystals inside. Suspended from handmade button posts made in Turkey. 10.2 grams of sterling silver. Necklace pictured can be found in the Valentine's Collection and the necklace section.